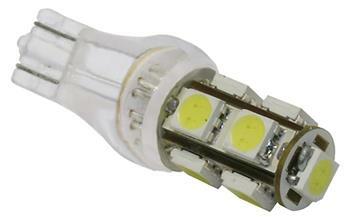 Putco LED Lighting - 360 Replacement Bulb - Dezod Motorsports Inc - Home of the automotive performance enthusiast since 2002. Sold in pairs (2 bulbs per package). Upgrade to 360° of high intesity LED. 360° Premium Replacement Bulbs replace dull factory bulbs in your tail lights, brake lights, side marker lights, turn signals, and reverse lights!